If you love my photography or have enjoyed a Wildgoose Photographics photo shoot I would love to hear about it. You can drop me a review here. This was such a lovely experience, it was so nice shooting with a photographer that makes you feel so relaxed in front of the camera, the photos came out beautifully, definitely recommend Lisa! Lisa was absolutely fantastic, as a family we felt really relaxed and she was great with our 2 young girls. She even managed to get smiles out of our shy 2 year old. The photos she produced are absolutely beautiful… There’s going to be done very happy grand parents come Christmas! Would recommend her to anyone. Don’t hesitate to capture a moment in your family history. We’ve just had an Autumn family photo shoot with Lisa and the pictures are wonderful. The shoot itself was fun, Lisa put everyone at ease and has really captured some moments that we can cherish forever. I’m also very impressed with how quickly the finished photos are available – it’s only been 3 days! Thank you so much Lisa. Highly recommended! Fantastic photo shoot with Lisa. Really captured our 2 girls’ personalities. Very patient with both of them too – they are both high in energy but Lisa still managed to get lots of amazing, natural shots. Would highly recommend. Thank you! We had a fantastic time with Lisa, I normally hate having my photo taken but she made me feel so relaxed I didn’t think about it. She was really good with our little girl as well, going to all lengths to get her to smile. Love Lisa and how relaxed she is which comes in handy when your trying to get a family photo shoot done! We gave Lisa a challenge, in as much as one of our party really didn’t want his photo taken but with some clever persuasion from Lisa, we have some amazing memories captured forever. We laughed solidly for two hours and this really shows in our photo’s, Lisa works hard to put you at ease & is a complete pleasure to work with. Lisa was fantastic from start to finish; kindly rescheduling when my little one got chicken pox and then turning my usually camera awkward oldest into the star of the day. 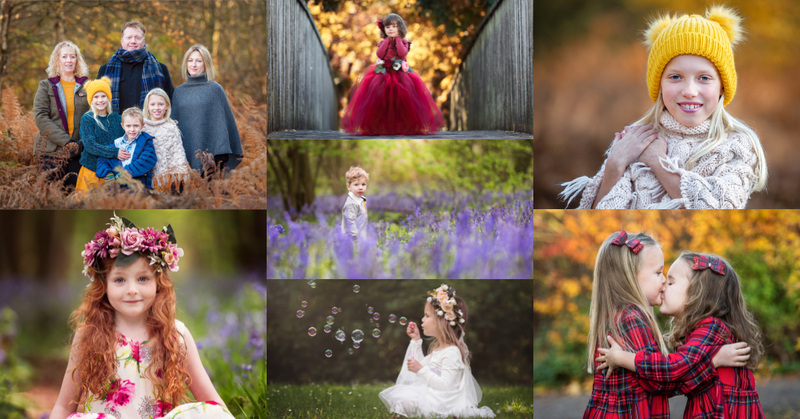 The photos are amazing and I can’t wait to book another shoot to document my growing girls! We had such a lot of fun in the woods; I haven’t climbed a tree in years! Great work Lisa, you are amazing! We are beyond thrilled with our photos taken by the very talented Lisa! She was fantastic with the children and put them at ease in front of the camera from the off. We had a really enjoyable afternoon and have brought home some great family photos which we’ll treasure for many years to come. The photographic session with my daughter and the photos produced are truly stunning, it totally captured the spirit of Maia and her passion for dance. Maia loved every moment of the shoot, a very happy bunny and a very proud father. Well done Lisa thank you for taking the time and capturing that moment.